Very simple addition I should have made years ago. 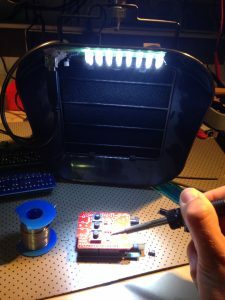 Of course, solder fumes are never nice at best of times, but having a clunky black humming extractor in your face is also something you might be inclined to neglect. 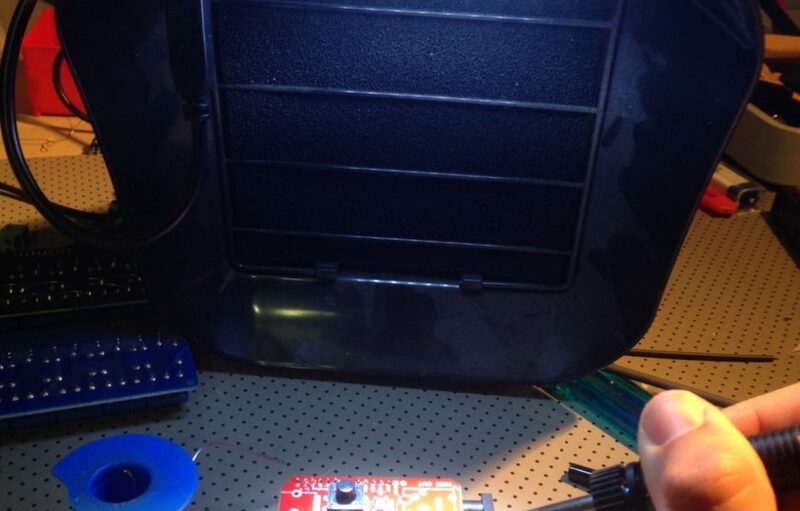 Especially since it blocks out a lot of light you need on your soldering work-piece. Hence a simple solution.. and old LED flashlight came to the rescue. This lamp was originally battery powered, but the supply has been replaced by a USB-B socket, so the lamp can be powered using any available 5V USB power source… simple, ain’t it?